Rights & Rightlessness: Rhoda Hassmann on Human Rights: White Africans: Is There Such a Thing? In the past few days there have been reports in the Canadian and international press about a white farming family that escaped from Zimbabwe to Canada; the father had rights to live here through his grandfather. Danielle and Mark McKinnon and their three young children fled after various officials and private individuals claimed ownership of their farm. Three years ago, Mark MacKinnon was kidnapped and beaten. They had had enough and decided to leave. This is just the latest in the sorry tale of expulsions of white farmers from Zimbabwe. While the official myth is that all white owners of large productive farms inherited them from the original British colonists in what was formerly Southern Rhodesia, this is untrue. A substantial proportion of the farmers bought their property legally after independence in 1980. The government had the right of first refusal on all such sales, and if it decided not to buy, then white (and black) farmers were free to do so. As it happens, last week I read another tale of white people in Zimbabwe, The Last Resort by Douglas Rogers (published in 2009 by Harmony Books). 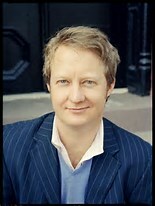 Rogers’ book is about his white parents, who in 1990 legally bought land near Mutare, Zimbabwe. There they established a backpackers’ resort and also built 16 small chalets for rent. This resort became quite famous and was featured in The Lonely Planet, a guide for inexpensive world travel. Until 2009 Rogers’ parents survived as owners living in their own house, mainly by ignoring what their black African tenants were using their property for; first as a brothel and then as a refuge for illegal diamond traders. I couldn’t discover what happened to them after 2009. This leads to the question whether white people can be considered indigenous Africans. On one side, Rogers’ ancestors had lived in Africa for 350 years. While nowadays many white Africans take advantage of their residual citizenship rights in places like Ireland, in case they are expelled, Rogers’ parents had no such rights. Nevertheless, at one point his mother was declared effectively stateless. Zimbabwean authorities refused to renew her passport unless she renounced her British and South African citizenship rights. She had no such rights, but she had to visit the South African and British consuls to obtain their certification that she didn’t. So what does it mean to be indigenous? We can easily agree that the people who lived in Zimbabwe or South Africa (or Canada or Australia) before Europeans arrived were indigenous to those territories. But are people who know no other home, who were born and grew up in those countries, and whose ancestors, in many cases, arrived decades or centuries before, also to be considered indigenous? Or does skin color mark you as a permanent outsider? The legal solution to this problem is to ignore the question of who is indigenous and focus on citizenship rights instead. If a country’s laws says you are a citizen if you are born there or are naturalized there, that should be the end of it. But some countries allocate citizenship not on the basis of birthplace but of ancestry. You can be born in a country and your parents can be born there too, and still not be a citizen if your most immediate ancestor in that country is from somewhere else. This is the type of law that made it easy for the Nazis to render German Jews stateless in the 1930s, and still makes it difficult for German-born people whose ancestors emigrated from countries such as Turkey to become citizens. It seems like Zimbabwe would like to move from citizenship by birthplace to citizenship by ancestry. It’s been applying this criterion not only to white Zimbabweans but to people whose ancestors migrated from places like Malawi. Anything to get rid of people who don’t support Robert Mugabe’s thuggish regime. 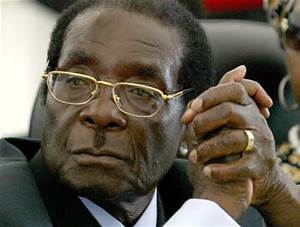 The anti-white rhetoric in Zimbabwe under its aged dictator, Robert Mugabe, is outright racist. As I document in my new book, State Food Crimes, he’s said all sorts of terrible things, stirring populist anger against white people and justifying his campaign of theft of their land. This theft has resulted in enormous economic upheaval and shortages of food. No matter to Mugabe and his allies: they don’t care. Populist anger against so-called outsiders is always dangerous, whether it’s Robert Mugabe in Africa or Donald Trump in the United States. In Africa, populist anger against white Africans (and also Asian Africans, in earlier times such as in Idi Amin’s Uganda in the 1970s) has ruined national economies. If populists take power in South Africa and force their indigenous white population to flee, the same thing will happen there. White Africans are indigenous to Africa. You can’t go on claiming that white people are outsiders because their extremely remote ancestors came from Europe. Calling people “settlers,” despite their birthplaces and despite their legal purchases of land, puts them permanently at risk. Their citizenship rights and their human rights are under constant threat, and the entire society suffers as a result.